PANDORA founded in 1982 in CopenHagen, Denmark designs, manufactures and markets hand-finished and contemporary jewellery made from high-quality materials at affordable prices. PANDORA jewellery is sold in more than 90 countries on six continents through approximately 9,500 points of sale, including more than 1,600 concept stores. PANDORA’s feminine universe of jewellery is made for you to create and combine. Choose from a wealth of charms, bracelets, rings, earrings, necklaces and pendants to express your personal style. PANDORA’s charm and bracelet concept includes around 700 different charms and clips, which you can combine with their specially designed bracelets in sterling silver, 14k gold, leather or textile. Every facet and feature of their jewellery is carefully considered before it leaves the hands of our goldsmiths, and we use 14k and sterling silver and carefully selected gemstones, stones and cultured pearls when combining century-old craftsmanship with modern thinking and beautiful design. PANDORA releases the new Explosion of Love jewellery as part of this year’s Valentine’s Day collection. Putting a contemporary twist on traditional Valentine’s Day jewellery, the series comprises intricately crafted designs capturing the joy and feeling of being … see more.. This Season PANDORA proudly launches the Disney Collection, a spellbinding assortment of mix-and-match designs. 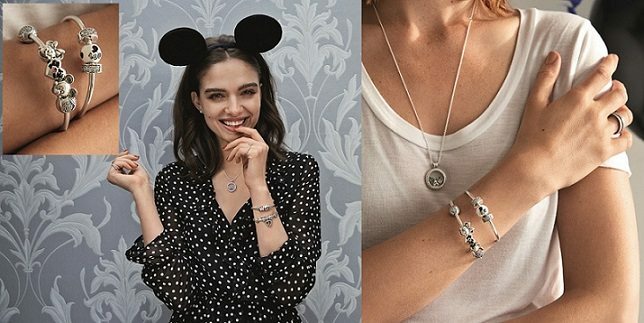 The brand introduces new Disney petites elements for PANDORA Floating Lockets, which – along with other collections of PANDORA petites – … see more.. Enjoy a 0% Installment Payment Plan for 6 months on a minimum purchase of AED 1000 made with your ADCB Credit Card at Pandora. Validity: Offer valid until 30th September 2017. To … see more.. Spend AED 600 and receive an AED 195 gift from the Rose collection at Pandora stores across Dubai. Super Sale offer at Pandora stores across Dubai.Spend AED 500 and get a bracelet free. Check out the Buy 1 Get 1 free offer on bracelets, rings, earrings, necklaces and pendants at Pandora stores across Dubai.